“This is a concoction to justify the giving out of medication at unprecedented and unjustifiable levels,” Dr. Keith Conners, psychologist and professor emeritus at Duke University, told the New York Times in an interview in 2013. Dr. Conners had been advocating legitimizing attention deficit hyperactivity disorder, or ADHD, for roughly five decades. The not-so-rare behavioral disorder, characterized by inattention, hyperactivity and impulsiveness, was first described in 1902 by English pediatrician Sir George Still and has since grown to become one of America’s leading childhood disorders, second only to obesity. In 2011, the Centers for Disease Control announced roughly 11% of the nation’s children aged 4 to 17 had been diagnosed with ADHD. That number was about 3% to 5% 30 years earlier. The most dramatic rise in ADHD diagnoses, however, occurred in just this past decade and a half, between 2003 and 2013, when the number of ADHD diagnoses in U.S. children and adults increased by 40%. This substantial spike in ADHD diagnoses can be attributed to several factors, all of which have worked in concert to create a huge market for the disorder and its treatments. Researchers have named both the relaxation of the American Psychiatric Association’s definition of ADHD and the shift towards using standardized test scores as a means to determine federal and state education funding as contributing factors in the ADHD boom in the United States. Normal childhood behaviors, like forgetfulness and impatience, are now listed as criteria for a disorder that is often treated with potent medications. To manage classic ADHD symptoms, which can include difficulty focusing, excitement, anxiety, absent-mindedness, lack of restraint and hyperactivity, physicians typically use a combination of behavioral therapy and medication, including the most-commonly prescribed stimulants. Doctors have used stimulants to treat symptoms of ADHD in young children since the first stimulant Benzedrine was approved by the Food and Drug Administration in 1943. These powerful drugs, classified as schedule II controlled substances by the Drug Enforcement Agency, are similar to cocaine, morphine and opium in their likeliness to be abused, and are approved to treat ADHD children as young as 6. It is not unheard of for doctors to prescribe stimulants to 3 and 4 year olds, though the numbers are much lower. A study published in the American Journal of Psychiatry in 2012 found about 0.1% of children younger than 6 received stimulant medications between 2004 and 2008, down from a peak of 0.4% in 2001. The same study showed 5% of all kids aged 6 to 18 were taking a stimulant in 2008. 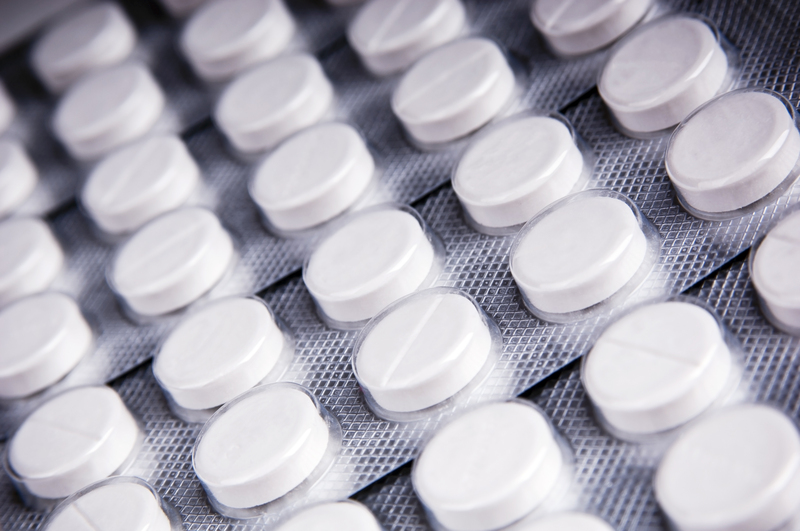 Prescription stimulants include amphetamines, like Ritalin, and methylphenidates, like Adderall and Concerta. Not only do these drugs have a high potential for abuse, they carry risks of serious side effects, side effects that have been downplayed by the pharmaceutical industry for the past two decades in an effort to expand the ADHD drug market. Coinciding with the sharp increase in ADHD diagnoses in the United States was a roughly two-decade-long campaign by Big Pharma to market new ADHD medications to doctors and consumers alike. As the APA relaxed the criteria for ADHD and schools began demanding students take an increasing amount of long and significant exams, Big Pharma launched a campaign to get more kids on prescriptions stimulants. And it worked. Between 2002 and 2012, sales of stimulant medications increased more than 400% from $1.7 billion in 2002 to $9 billion in 2012, the New York Times reported. The surge in profits was also fueled by the loosening of legislation in the late 1990s that prohibited pharmaceutical companies from marketing controlled substances like stimulants directly to the consumer. Since 2000, the FDA has cited every pharmaceutical company that markets ADHD medications for false and misleading advertisements at least once. These advertisements include magazine and TV spots that inflate the effectiveness of the drugs while minimizing their potential side effects. 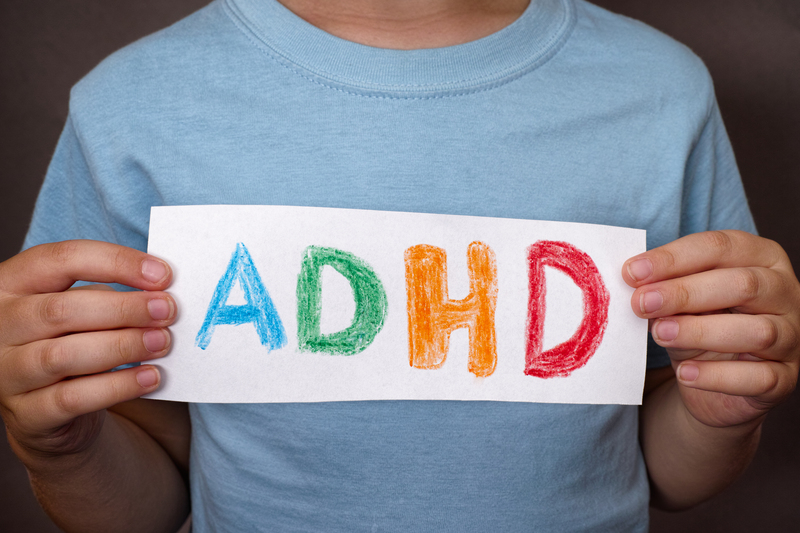 ADHD can negatively affect a child’s performance in school and his or her self-esteem. “Finally! Schoolwork that matches his intelligence,” asserts a two-page Adderall XR ad in a 2005 edition of People Magazine, cited by the New York Times. “Better test scores at school, more chores done at home,” proclaims a magazine ad for Concerta. These advertisements, which featured smiling children, stellar test scores and proud parents, not only appealed to the emotions of mothers and fathers who wanted to see their children succeed, but also minimized the sometimes serious side effects brought on by these medications, side effects that include decreased appetite, trouble sleeping, headaches, anxiety, irritability, blurred vision, circulation problems; painful and persistent erections; heart-related problems, including sudden death in children with underlying heart defects; mental and psychiatric problems, including suicidal thoughts, hearing voices, and being overly suspicious; aggressiveness and hostility; and bipolar illness, even in those who did not have symptoms of bipolar disorder before treatment. The FDA repeatedly told the pharmaceutical companies to withdraw such ads for being false and misleading or for exaggerating the drugs’ benefits. In February 2013, Shire, the makers of Adderall, agreed to pay $57.5 million in fines to resolve allegations of improper sales and advertising of several drugs, including Adderall, as well as the ADHD medications Daytrana and Vyvanse. On top of Big Pharma’s influence over emotionally susceptible parents, the industry did not underestimate the importance of marketing to doctors. After all, parents need doctors to give them both the diagnosis and prescription. Big Pharma used eager physicians to market stimulants to other doctors, citing research that favored the industry’s message that stimulants were safe and should be used as part of a lifelong treatment program. Dr. Joseph Biederman, a prominent child psychiatrist at Harvard University and Massachusetts General Hospital, published much of the research used by pharmaceutical companies to peddle their prescription stimulants to doctors. A 2008 Senate investigation later revealed that much of Dr. Biederman’s research was funded by pharmaceutical companies. He also received at least $1.6 million from the same companies in speaking and consulting fees, though he has maintained that the payments did not influence his research, according to the Times. Ritalin held a significant portion of the ADHD medication market share until new stimulants hit the scene in the 1990s, including Adderall. Biederman’s published studies indicated ADHD was underdiagnosed, stimulants were both effective and safe and unmedicated ADHD led to significant risks for academic failure, drug dependence, car accidents and brushes with the law, the Times reported. The pharmaceutical companies took these studies and built massive promotional campaigns aimed at doctors. The material, which included informational pamphlets, presentations and in-person pitches from drug company sales reps, downplayed the medicines’ risks and touted them as being able to improve a child’s academic performance and overall success in life. To reach more doctors and physicians, pharmaceutical companies also took out ads in prestigious medical journals, including the American Academy of Child & Adolescent Psychiatry, which reportedly went from no ads for ADHD medications between 1990 and 1993 to about 100 pages per year a decade later. An Adderall XR meeting hosted by Shire at the Ritz Carlton Hotel & Spa in Pasadena, Calif. in 2002 further exemplified Big Pharma’s conscious effort to market stimulants to doctors as incredibly safe and highly effective. The presentation, given before 70 doctors by Dr. William Dodson, a psychiatrist from Denver, reportedly encouraged physicians to “educate patients on the lifelong nature of the disorder and the benefit of lifelong treatment,” in spite of scientific research that found as much as half of all ADHD children did not show symptoms in adulthood. The PowerPoint slideshow also listed the side effects of Adderall XR as “generally mild,” despite Shire’s own data which showed 14% of 6 to 12 years olds experienced stomach pain, 22% experienced significant loss of appetite and 17% experienced insomnia. A similarly large percentage of adolescents aged 13 to 17 and adults 18 and over also experienced the same negative side effects after taking Adderall XR. Big Pharma’s influence reached beyond doctors and patients, as well, infiltrating even those organizations one might assume were neutral or independent. The primary ADHD patient advocacy group, called Children and Adults with Attention Deficit Hyperactivity Disorder, or Chadd, did not disclose the funding it received from pharmaceutical companies until a 1995 documentary on PBS exposed the group’s industry donors, the Times reported. Historically, Chadd received about $1 million per year from Big Pharma, or about one-third of its operating budget. Ruth Hughes, who was chief executive of Chadd at the time the New York Times published its article, said her group wasn’t alone in receiving industry money. She told the Times most disease-awareness groups received similar support from Big Pharma. Hughes also added the drug companies do not influence Chadd’s positions or activities. Even three years after the New York Times first published its article, Big Pharma has continued to market its ADHD stimulants to doctors and the public, though some company executives contend new advertisements are more balanced and provide an accurate representation of the drugs’ potential side effects. Big Pharma has now set its sights on a new market segment in hopes of continuing its dominance in the ADHD realm. 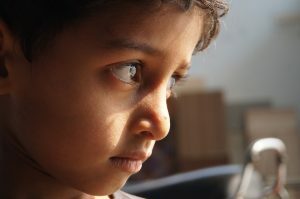 Historically, ADHD was thought to affect only children — the average age of diagnosis being about seven years old — but studies have shown that in about half to three-quarters of cases, ADHD symptoms follow children into adulthood. The adult market for ADHD may be twice that of children, since the number of adults far outweighs children in the United States. Of the 76 million prescriptions written for ADHD medications in 2012, an estimated 16 million – 21% — were written for adults aged 20 to 39. That’s up from 5.6 million five years earlier, according to data from IMS Health. 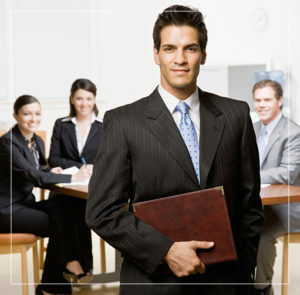 This growth has helped make undiagnosed adults one of the fastest-growing segments of the ADHD market. 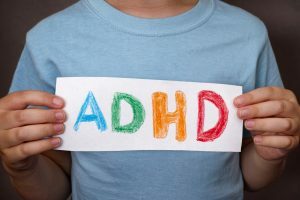 Concerns over whether many of the diagnoses – in both adults and children – are not true ADHD are still being raised due to the multiple factors helping to fuel the ADHD boom. These factors include the APA’s broadening of ADHD criteria, federal and state governments that continue to hinge education dollars on standardized tests, as well as Big Pharma’s influence and marketing to doctors and the public.